I am taking part in I Heart Snapping's weekly Living Arrows project, a photography project to capture an image which represents childhood to you through the actions, likes, dislikes, looks and movements of your own children. 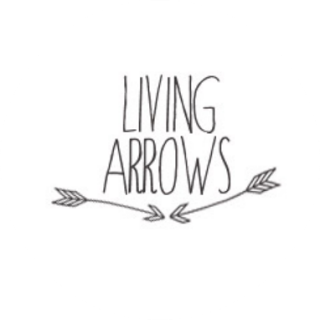 Below is my picture for the eighteenth week of Living Arrows. I got this picture after my boy had his bath. I put him on my bed to dress him and get him ready to go to sleep but the little monkey was too busy hopping all over the bed! I also brushed his hair for the first time and it went into this gorgeous little curl in the middle of his forehead. One of my friends said that Superman had the same curl and I thought that was cute funny. I got this snap whilst he was lying still for a split second, hand in mouth thanks to those pesky teeth he has popping up. I love this picture, I think he looks so dreamy and is looking off into the distance like he always seems to do. lovely picture and great sounding project too! 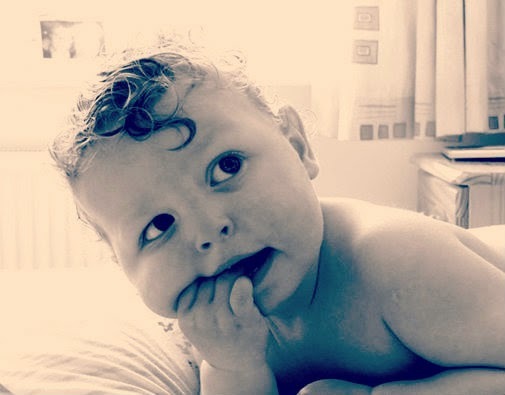 I love baby curls!